The Raven Downs Keep Map Tile Pack features a gaming-scale version of Raven Downs Keep from Torn World's The Goblins Stir. 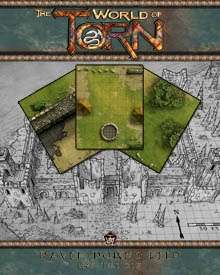 36 8"x10" high-resolution tiles can be used independently for small scale encounters, or used in part or whole to recreate the old ruined keep and surrounding terrain. The overall playing area is 48 inches wide by 60 inches tall (when printed at 1 square = 1 inch). Wilster paused and took a deep breath; this goblin disguise seemed to go over well with his fellow adventurers, but ... well ... if it didn't fool the goblin encampment, things were going to go to Hel real fast. He breathed again and poked his head over the collapsed wall, peeking through ivy and dried grass towards the goblins huddled around an old well. Here goes. The halfling rogue threw himself over the rubble in mock terror, screaming at the top of his lungs as he ran towards the encampment. "Daan dragaan agaan shuulkec! Daan dragaan agaan shuulkec!" Outside the keep, huddled amongst the trees and undergrowth, Dork the half-orc barbarian turned with a puzzled expression towards Zartoss. "'The dwarves are coming?' Was that the plan?" Zartoss sighed and shook his head. "We better get in there." 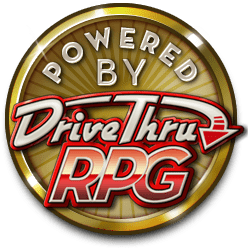 Due to the high quality of tiles and multiple products included in this map pack, the download is almost 200MB (zipped).